Main contact Associate Professor Lars Eriksson. Environmental concern drives the development towards more efficient and less pollutive automobiles and engines. With the increasing computational powers that are becoming available for engine control units more advanced methods for control and supervision can be implemented. Several of our projects involve modeling and control of engines and systems that will increase the engine efficiency and reduce the fuel consumption. Experience gained from experimental work is important for learning about the important and fundamental problems that we study. Many of projects in this area is centered around the engine laboratory where we have two exciting prototypes of multi-cylinder passenger car engines. In other projects we collaborate with our industrial partners where they provide resources and facilities during the development and for testing and validation of the research results. Several of the projects are summarized below and the research results can be found on our publications page. Participants Lars Nielsen, Lars Eriksson, and Johan Wahlström. Heavy trucks equipped with diesel engines will have to meet newer stringent emission regulations. To meet these demands the engines are equipped with additional systems like exhaust gas recirculation and variable geometry turbines. These two systems are important for achieving good fuel economy and low emission but they interact with each other in complicated ways. This gas flow system is particularly interesting and challenging since it is coupled MIMO system that is fundamentally non-linear, the cross coupling terms are important in the same time as some of the static gains between inputs and outputs changes sign in the operating region. The goal in this project is to investigate the control of these systems for achieving best fuel economy and lowest emissions. In the project a control oriented model of the engines gas flow system has been developed and it has been used to gain a fundamental understanding of the nonlinear and couplings in the processes. Furthermore several controllers have been proposed and investigated for this system where the model is used in a central way in the design and validation of the controllers. This project is carried out in collaboration with SCANIA. Participants Lars Eriksson and Oskar Leufven. One part in this project deals with control oriented modeling of especially the compressor side of a modern turbocharger. The aim is to achieve a model structure capable of both the stationary compressor performance and also fast transients e.g. connected with for example a gear change. The goal is to produce a transient capable compressor model that can be implemented as part of a full Mean Value Engine Model (MVEM). Both the stationary as well as the transient behavior of the compressor model should reproduce all important and interesting signals of a compressor (temperatures, mass flow, pressure, losses etc). The compressor model development is conducted in close collaboration with the industry with available experimental data from both special compressor test stands as well as data from engine test beds and test cars on the road. The compressor model is to be used in developing control structures and controllers capable of handling a dual supercharging system consisting of two (or more) turbochargers or even a combination of turbochargers and mechanical superchargers. The goal is to further develop the supercharging concept for the future demand of fuel consumption, performance and driveability. The engine used to test controllers and strategies is a GM/SAAB LNF engine. The engine incorporates a twin scroll turbocharger, variable cam shaft timings as well as gasoline direct injection compared to the current standard of port injection. The basic configuration of the engine has been modified for research purposes and is equipped with two turbochargers in different configurations (series sequential) and is also prepared for being equipped with different combinations of turbo- and mechanical superchargers. Participants are Lars Eriksson and Ylva Nilsson. One part of the project deals with control oriented modeling of combustion engines, where the aim is to produce models that can be used primarily for observer and control design but also to produce simulation models to validate performance of different control strategies. 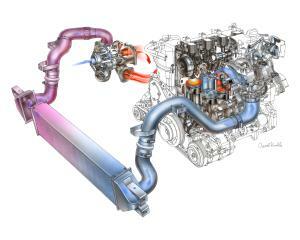 Another goal of the project is to reduce the fuel consumption using the SAAB Variable Compression (SVC) engine. An engine with variable compression has the potential to reduce the fuel consumption when it is controlled correctly. A high compression ratio is desirable since the fuel consumption decreases when the compression ratio increases, but a high compression increases the risk of engine destruction by knock. Allowing the compression ratio to change enables the system to utilize the best compression ratio at every given time. Knock can be avoided by reducing the compression ratio or by igniting the mixture in the cylinder at a later instant. Using only one of these will result in an increase in fuel consumption. The goal here is to find the best balance between these two control inputs to achieve best fuel economy independent of driving condition, environment, and fuel. The operating principles of the variable compression engine Variable Compression Engine is shown on our Laboratory pages. Participants Lars Eriksson and Per Öberg. Variable Valve Trains provide an interesting possibility to reduce the fuel consumption but it also influences the amount of air and residual gases in the engine. 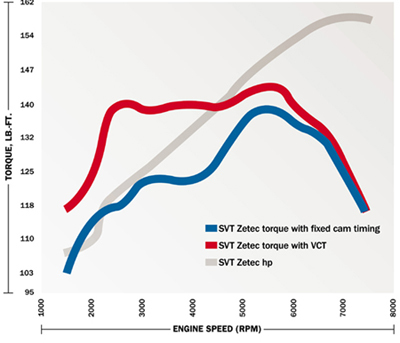 Air charge is important for engine fuel- and torque control while residual mass fraction is a crucial factor that limits stable engine operation since it influences the combustion variability. There are high demands on the Engine control units since they are central for achieving good performance such as stable combustion, good torque response, good fuel economy and low emissions. Therefore it is essential for the control system to know the air charge and residual mass fraction but these are not measured and hence models are required. When variable valve train technology is used to its full extent the existing control oriented models for residual mass fraction and cylinder air charge have the shortcoming of not covering the entire engine operating region. Another issue is that transient effects introduced by the cam phasing mechanism have to be handled correctly. Participants Associate professor Lars Eriksson. The spark plug can act both as actuator and sensor. When using the spark plug as sensor a DC-bias is applied to the gap and the current that goes through the circuit is measured, the current is called the ionization current. This project aims at controlling the spark advance using information deduced from the ionization current under varying conditions. More information about this project is given in the specific project page. Below follows a summary of the Researchers that are active in this field. Associate Professor Lars Eriksson and Professor Lars Nielsen. Current PhD students are Johan Wahlström, Per Öberg, and Oskar Leufven. Former PhD students are: Per Andersson, Marcus Klein, and Ylva Nilsson.